Conjure up a real spa atmosphere in your home with our own-brand Danubius Health Spa cosmetic products. We offer Danubius Health Spa cosmetic products for home beauty care. These products, which contain valuable minerals, can be used as a supplement to our medical spa treatments in order to prolong the effects of the treatment, and for skincare purposes. Health protection and pampering skin care! A range of products made for all skin types with special Bük thermal water extract, pure plant oils and other natural substances with skin care properties. While bathing, the mineral salts and trace elements stimulate cellular metabolism, relieve stress and help relax, effectively cleansing and conditioning the skin. Based upon hundreds of years of experience, both traditional medicine and naturopathy recommend it for the treatment of locomotor diseases, articular conditions and certain gynaecological complaints. Application: Pour the contents of a sachet into the bathwater. It is recommended to bathe in body temperature water for 15-20 minutes followed by relaxation. Also suitable for use in hydro massage and Jacuzzi baths. The body lotion contains a unique thermal water concentrate and Aloe vera extract. It prevens the skin from drying out with its softening and soothing effect. Its almond oil extract makes the skin soft and silky smooth. Apart from its superb hydrating effect and thanks ti its Vitamin E and mineral content it stimulates metabolism and mitigates the harmful effects of chlorine bathwater. It is perfect for treating psoriasis affected skin surfaces and is absorbed into the deeper skin layers. Suitable for all skin types. Cleansing and massaging the skin with finely ground salt stimulates circulation and helps clean the skin, removing dead skin cells. Application: Gently rub the product into the skin while showering without applying it on facial skin. In order to achieve the desired effect, avoid using soap or shower gel. Application: dissolve 1 bath ball in bath water. Application: For maximum benefits, leave the foam to dry on the skin for a few minutes. The soap might have a slight dehydrating effect so apply a neutral hydrating cream if necessary after use. Not to be used on damaged skin! Application: Dissolve 2–3 tablespoons of salt in pleasantly warm bath water. Application: Suitable for use both at room temperature or if heated to a maximum of 40 degrees Celsius (although note that the jar should not be heated). Apply a thin layer of mud to the surface to be treated, then cover with plastic wrap and a warm blanket. After 20–30 minutes, wash with clean water (without any soap or shower gel). Only for use on healthy skin and must not be applied to the face. Use as a cure for 3 weeks at the most. Application: Dissolve 1 bath melt in bath water. Application: Gently massage a walnut-sized piece of butter into the skin. 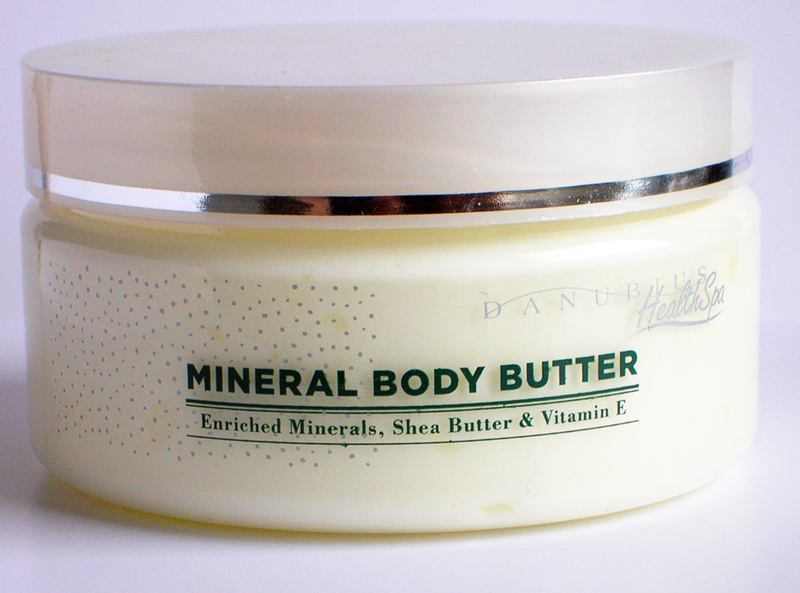 The butter melts from the heat of the body and is fully absorbed by the skin. In a dry and warm sauna, the essential oils mainly affect the respiratory tracts, nervous system and the emotions, whilst in a steam bath - where the sauna oils can also be used - the essential oil steam settling on the skin has a beneficial effect on the epidermis and the subepidermal tissues. The products of MARIENBAD COSMETICS draw their power from the medicinal sources of Marianske Lazně, where nature has been storing its energy for thousands of years. When processing these products, traditional proven methods of regeneration known from spa activities, were used. At the same time the requirements of modern cosmetics have been considered.